Last week two things occurred: I read Natural Born Heroes by Christopher McDougal and I got to dig in my garden for the entire weekend. McDougal’s book delves into natural movement–its ancient and modern applications. This is an area that I have done extensive research and some bit of training. It is the source of my summer hanging challenge–which I PROMISE I will return to. But before I do, I want to–actually I feel I need to–get a little more philosophical. You see, I went to visit my mom a couple of weekends ago. She is in the final stages of her life. My trip left me satisfied and yet unsettled. Not because of her dying–she has had a good run and is ready, as ready as anyone can be for their life to end. No, rather I am unsettled by living, having another birthday that officially brings me into my mid-fifties and another year closer to the end of my life expectancy. And reading this book. And digging in the garden. One of the people McDougal researched was French naval officer George Hebert who witnessed the volcanic eruption of Mount Pelee on Martinique in 1902. He was a part of rescue efforts as people ran into the water to escape the burning ash and then drown as they panicked. Almost the entire population of the capital city died. The “uncivilized” native population however were more fit to survive the disaster–they recognized the signs that lead to the eruption, knew what to do, and were able to stay afloat even when their canoes were burnt by the flying embers. Eventually, Hebert developed a philosophy to fitness: “be fit to be useful” was his credo. These words attached themselves to my heart as I read them. I reread that passage from the book throughout my week as I taught yoga–a practice that could be deemed “UN-useful” if viewed in certain ways. But my purpose was to shed light on the practice that is entirely useful: to really understand what it means to be human, you need to spend time exploring consciousness. And exploring consciousness is the root of a yogic practice. And then I went out to the garden. And dug in the dirt that wasn’t there fifteen years ago when I first put my trowel in. The place in my yard I chose for a vegetable garden, it turned out, used to be a gravel driveway. No dirt–just rocks and sand–which are not the best medium for growing. So over the years I sifted out rocks, added topsoil, hauled manure, composted and slowly created a garden of 4×4 beds. I was amazed last year when a friend brought over his tiller to help me turn the beds. His machine was too big for the small beds, so he tilled between them. I stood in amazement as I saw dirt between the beds. No gravel anywhere. 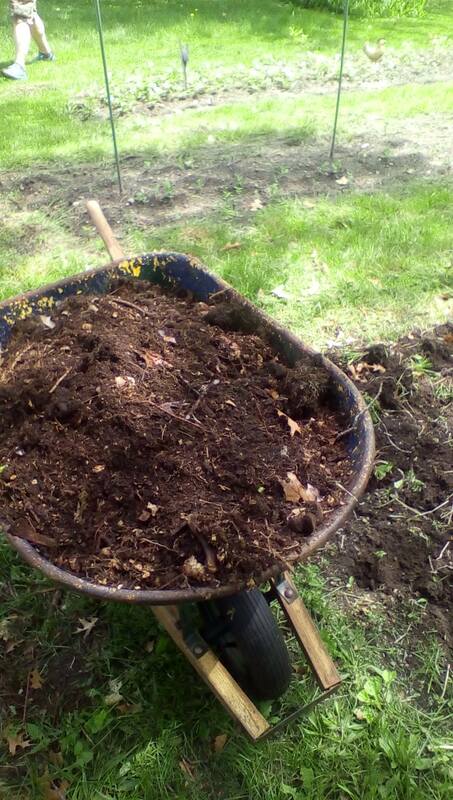 And this weekend as I hand dug to plant, my trowel sunk into a good 6-8 inches of real, live soil. I had been useful–I made dirt. And I felt very human and very deeply alive. In my years as a fitness professional, I have seen many strong and sleek bodies. I have seen–and participated–in feats of both physicality and courage. All of it is inspiring, but I’m not so sure about how useful any of these feats are in the long run of life. Especially when our physical efforts result in injury. And what amount of these efforts were made to overcome a sense of humanity rather than participate more deeply within it? This is the source of my unsettling. What does it mean to be useful? and what do we do to become fit so that we can be useful? As I–we–approach the end of our lives, how do we assess our usefulness? My dear mother is maybe the least physically fit person I know. But she was very good at being a mom. Even though she might not have been able to save me from drowning in a sea of ash, she saved me from a shadow that hovered over our family life and kept me free and innocent. I’m not sure even what that shadow was, exactly, due to how useful she was in protecting me. The Greek term “hero” means protector. My mom was my hero growing up. One final quote from McDougal: “Empathy, the Greeks believed, was a source of strength, not softness; the more you recognized yourself in others and connected with their distress, tho more endurance, wisdom, cunning, and determination you could tap into.” Being useful is sort of a mystery when you are in the midst of a crisis. Most heroes have no idea why or how they did what they did. What matters, what lasts, is how those heroes made other humans feel: recognized and worthy. Heroes come in many forms–not all are strong or sleek. Awards aren’t all brass and glass–some of them crumble easily and are full of worms. As I grow older I am challenging myself to learn how to strengthen my shoulders not so I can perform a pull up and overcome aging, but so I can continue to reach out to others. I know what it means to get a good hug and thank god, my life is full of them. I want to be useful back. Hug back. Hang out and extend myself to others–whether that is by reaching into an isle of lava or across an aisle of difference. You are very human and hug-worthy. 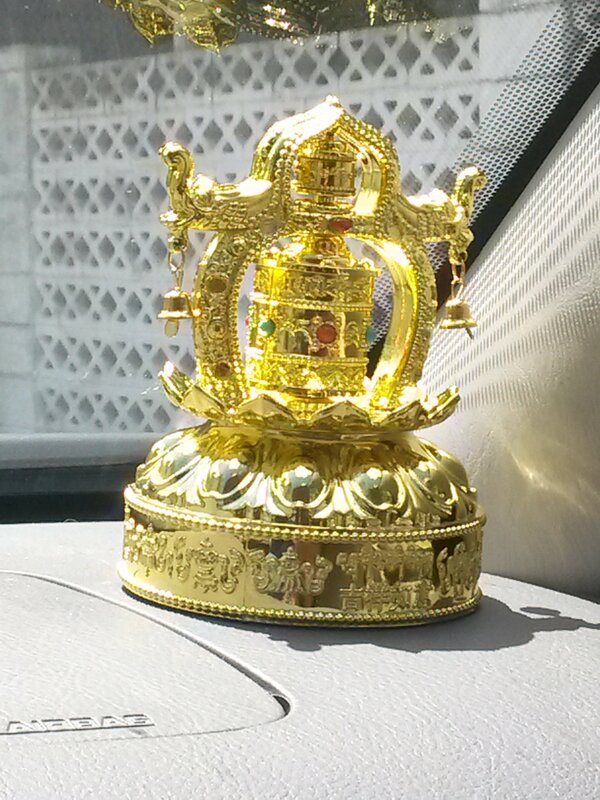 It’s a solar powered prayer wheel. It happily spins all day long glowing brightly in the corner of the windshield. It is maybe the best way I can imagine to enhance the driving experience. Ever. Hard to read in the photo, but I wanted to prove that I didn’t make this up–so if you doubt me, maybe zoom in and look very carefully. 1. Banned by the compulsory rotation forcibly cone. 2. If the solar lenses and base surfaces have dirt, please dry, clean cloth wipe gently. Do not add any cleaner is wiped. 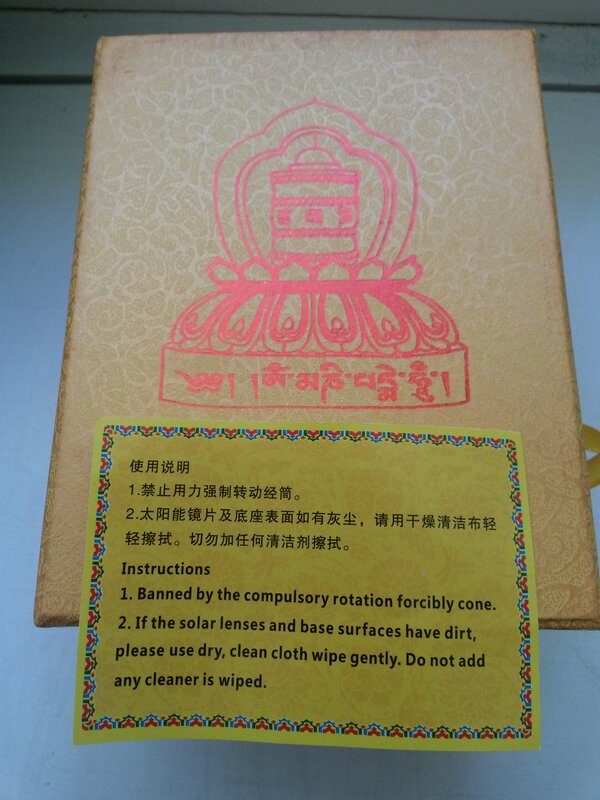 The back of the instructions go on to just as clearly describe what a prayer wheel is and how it works metaphysically–not too difficult a task at all to do in a foreign language. So. My fellow students going through the Whole Body Alignment training come from many backgrounds, including midwives, physical therapists, yoga or pilates instructors, people with bad hips, people that love science, and I’m sure many, many other areas as well. You can imagine that we all talk in different languages and have subtle (or not so subtle) differences in expressing what we mean to our clients. We probably know what we mean, but in complexity do express is not correct use. In a recent discussion online (we have a *secret* facebook page), a yoga instructor asked about the cuing often used in yoga to “press into the 4 corners of the feet.” This is an instruction I personally used to employ as well, but no longer. It was a long and thoughtful thread and I appreciated reading everyones’ translation of what that cue should mean or why it is useful or just plain wrong. Since the teachings of yoga originate from the same place as my new solar prayer wheel, maybe, just maybe, something has been lost in translation. Another thing to consider is that premodern yoga teachings were directed toward a very different population. Which is why I no longer use that cue. I see loads of bunions and crooked, gnarly-looking toes which speaks to me of TOO much pressure already in the front edge of the foot. So my instruction is to back weight into the heels and go from there exploring the movement sensations of the front and sides of the foot. Other cues which I find no longer pertinent include “lift your kneecaps” since many people cannot lower them, and “tuck your tailbone” since most of our population already has a posterior tilt to their pelvis. Pressing, pulling or tucking something already engaged in that activity is too much effort in one direction. Physically and metaphysically, yoga is essentially about balance. Therefore, I need to understand the forces in the lives of my students–right now and in our cultural setting–that affect them in a negative way and introduce a practice that remediates imbalances in body, mind and spirit. Yoga has and continues to evolve. The tenets remain that were laid down in the Sutras of Patanjali, but the way we practice today is far different than thousands of years ago. If you would like to know more about the changes in modern yoga practice, I highly recommend Mark Singleton’s book, Yoga Body. As teachers, we need to evolve yoga language and practice to guide our students toward physical and mental liberation so spirit can be fully experienced. That can only be achieved by knowing their current physical condition and mind set. Culturally, there are many commonalities, so this is becomes easy to discern as we observe our students practice. It is also helpful to actually know your students–not to teach to such a large class that you aren’t aware of their personal limitations. And then we must learn the language of instruction that compulsory clarity do not body distort. My work experience is mostly in the fitness industry. Rife with goals and witty, pithy one liners stating that you can just do it, it is a world of belief in miracles. Anyone can become healthy and fit if they only work hard and believe in themselves enough. By achieving their health and fitness goals, they will be happy. And it will all be FUN! (happy face emoticon)!!! I have seen some wonderful transformations over the years, no doubt, and I reveled in the opportunity to guide someone in their journey toward a healthier lifestyle. But for every success, there were many more people who failed.The weight came back, the injury worsened, the strength gain was lost. But did they really fail? Bad news–they did fail. Good news–no big deal. How many times in our lives are we dealt a failing hand at something? The normal response is to walk away from the game. Not your night. Live and learn. Try again another time. But this is their HEALTH and HAPPINESS! How can I say this??? 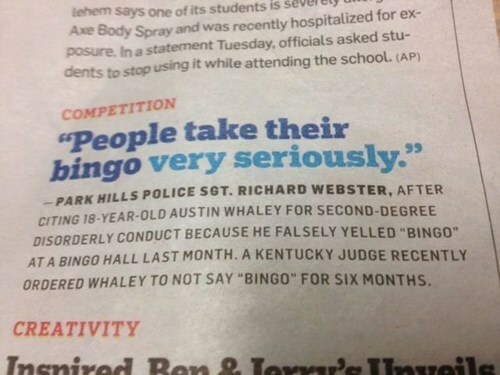 I can say it because the game was rigged. The deck was totally stacked. The ante that you chipped into wasn’t ever going to be won by anyone at the table. There is no pot. I love philosophy! And really bad metaphors! And if I only tried things that absolutely would not fail, I would not have started a blog! So let’s talk about success. What does it mean to win at yoga and life in general? In my understanding of yoga philosophy, what might be called winning is Samadhi. Bliss. And it is depicted as sort of unachievable. Especially if you make it a goal. So pretty much you fail no matter how hard you try. But, soooo worth it if you achieve it. Sort of like, “if you could do anything and know that by trying you would fail, would you do it anyway?” Stupid-sounding game, huh? What is the point? The point is that when you have passion and a practice, you get better. You don’t necessarily get thinner, happier, or even win. Just better, but maybe not in the way you expected. And not every day. Sometimes you draw the go back two spaces card (mixing metaphors a bit; hope that’s okay, ‘cause I failed in Writing 101). But you just stay in the game. Maybe your truest self doesn’t look like a model or run like a cheetah. Just understanding that aspect of yourself is progress in the game of life. I don’t know about you, but I’m going to keep playing. Win or lose. Science Discovers: Your Brain is Connected to Your Body!! Do Your Arms Hang Low?